As Wikipedia notes: "Its significance is being considered the first piece of musical theater that conforms to the modern notion of a "book musical" The book is by Charles M. Barras, an American playwright. The music is mostly adaptations, but some new songs were composed for the piece. 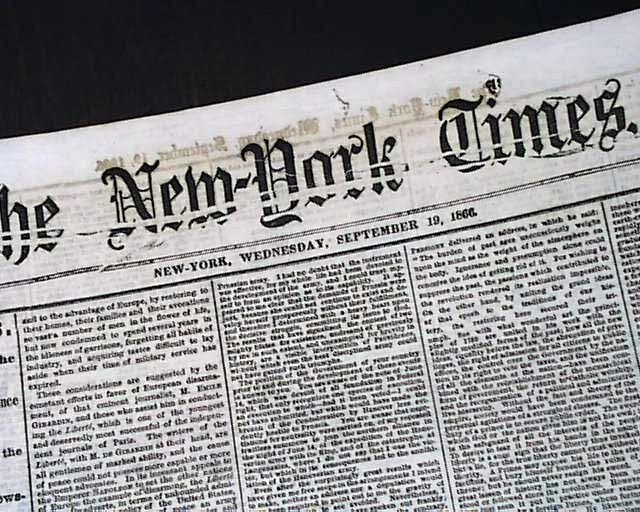 It opened on September 12, 1866 at Niblo's Garden on Broadway, New York City and ran for a record-breaking 474 performances. This production gave America claim to having originated the musical. The Black Crook is considered a prototype of the modern musical in that its popular songs and dances are interspersed throughout a unifying play and performed by the actors." 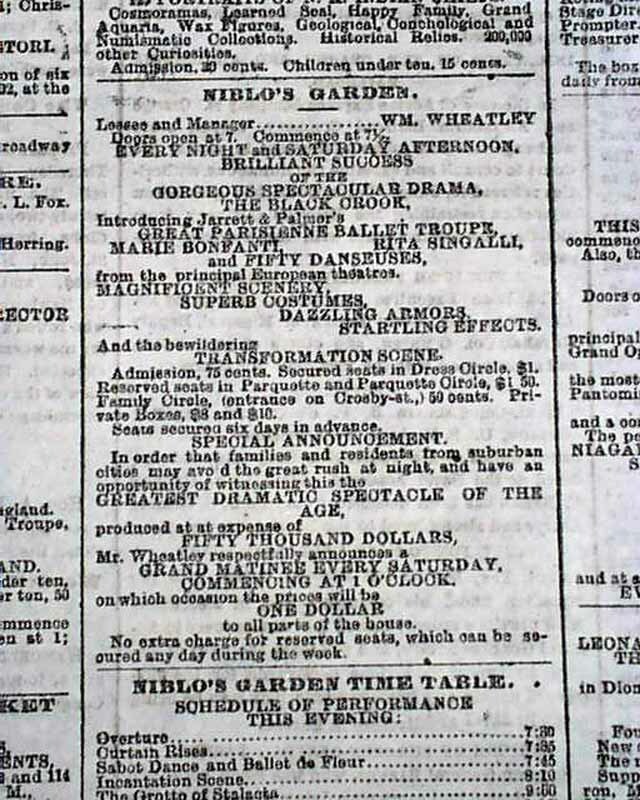 The advertisement notes in part: "Brilliant Success of the Gorgeous Spectacular Drama, The Black Crook...Magnificent Scenery, Superb Costumes, Dazzling Armors, Startling Effects...And the bewildering Transformation Scene..." with other details. 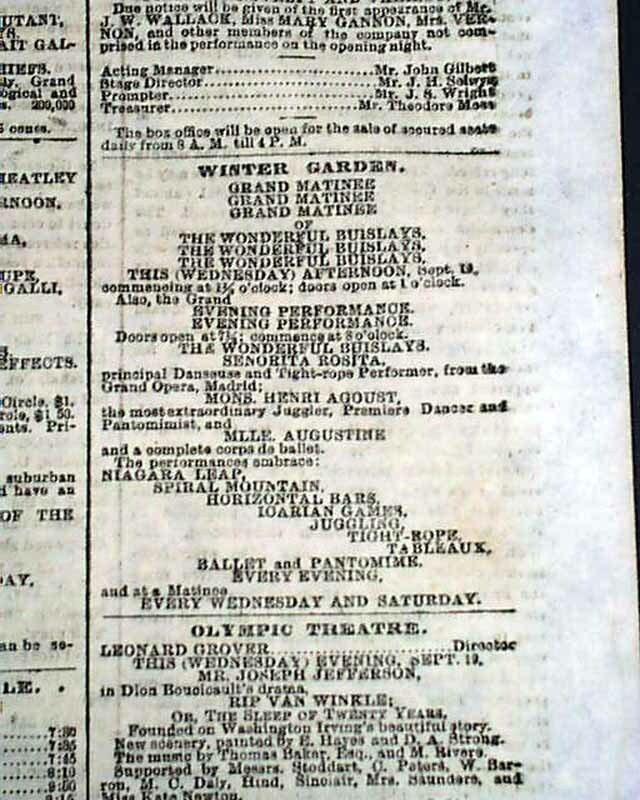 Page 4 also has a list of Amusements for the evening, which includes The Black Crook. 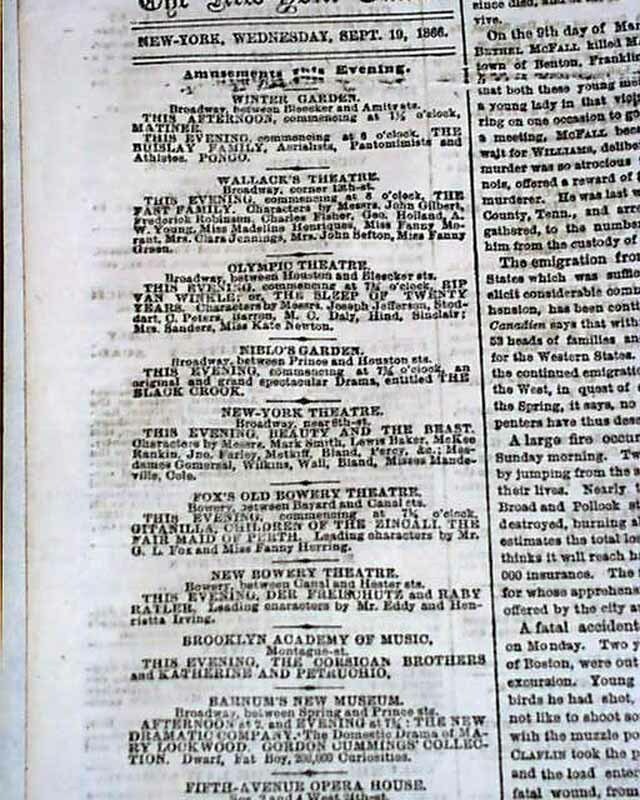 This newspaper advertisement is just 7 days after the opening performance and only a New York City newspaper would contain this elusive advertisement. 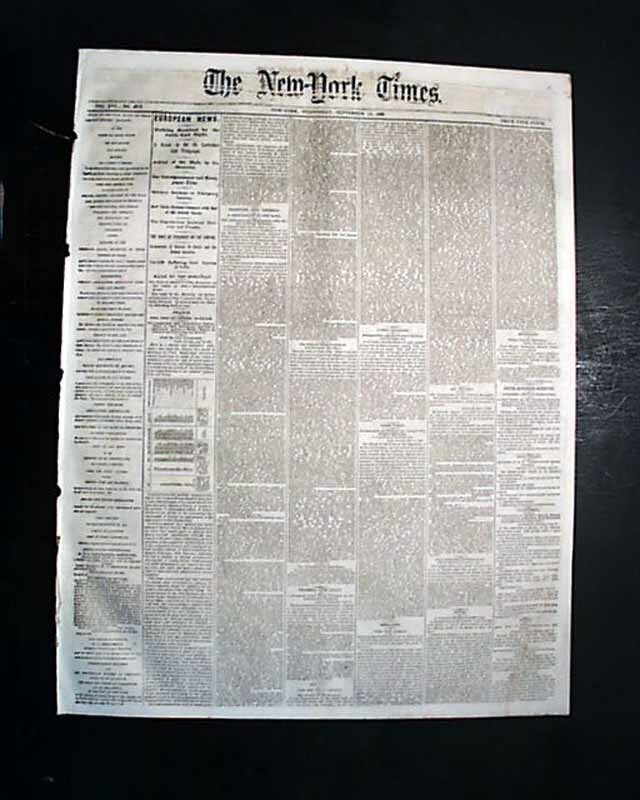 The complete 8 page newspaper, some printing flaws do not affect mentioned ads, in very nice condition.